KBS is the leading supplier of X-keys Programmable Keypads. X-keys keypads offer fully programmable solutions which assist you with your workload, helping you to save valuable time and become more efficient. Whether you are a Graphic Designer, a TV producer, a Web Manager or a Two-finger Typist, proficiency in your software requires rapid input. Keyboard Macros and Hot Keys offer the shortest path to action and the X-keys provides a clearly labelled, physical location for these complex or redundant functions, so you don't have to think about them. The X-keys lets you focus on the project instead of the process. So whoever you are, whatever you need, the X-keys will suit you. Using MacroWorks technology, X-keys allows you to create a custom controller for your application with just the right layout and keys positioned exactly where you want them. Perfect for giving you a limited set of clearly labelled controls. Included software for Windows or Mac OS X allows you to instantly assign macros, control functions, and many more functions the keys. Optional key blockers, tall, wide, and coloured keys let you design and snap together a professionally finished control panel. Free comprehensive Software Development Kits for Windows and Linux give the developer full control of all input and indicators. The XK-24 programmable keypad, with MacroWorks 3 software, combines the traditional rugged, reliable X-keys with added features. By using the XK-24 Programmable Keypad you can focus on the project instead of the process. So whoever you are, whatever you need, the X-key 24 Programmable Keypad will suit. 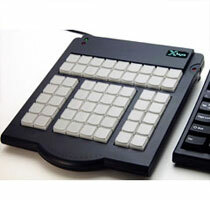 X Keys do not just manufacture programmable keypads they also provide programmable sticks as well. The X-keys programmable keypad comes with MacroWorks 3 software for Windows and ControllerMate for Mac OS X. 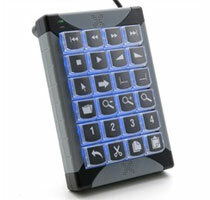 You can also buy X-key accessories to make the usability of your programmable keypad even easier. These accessories can help you become even more efficient and lets you focus on the project instead of the process. There are many more X-keys keypads that allow you to save time and become more efficient. 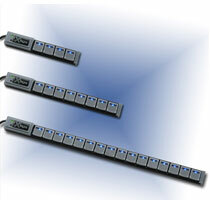 Due to the X-keys extensive range I am sure that you will find the product that fits the bill! Please click here to view the extensive range.